The government in Madrid stands in the way of an independent Catalonia. We march for a referendum on our national day. Catalonia is at a crossroads. The demand of our people is to hold a free vote on our future path – just as Scotland plans next year, just as other European countries have done in the last few decades. The Spanish state must now find a route to accommodate the wishes of our citizens. With the return of democracy after Franco’s dictatorship, we – the Catalans – were able to rebuild our country and our heritage. For over 30 years, Catalonians have worked with Madrid to build a democratic, modern, European Spain, to create a state which could be ours. We had hoped that Spain would be understanding, tolerant, and above all respectful of Catalonia’s personality, of its culture and its language, and of the hopes for progress and wellbeing of the Catalan people. But recent events have forced us to think differently. 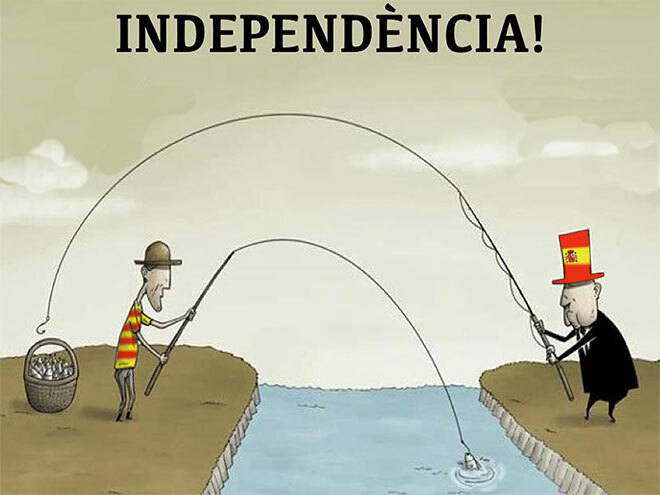 Our statute of autonomy, agreed between our parliament and the Spanish parliament in 2006, and then supported by our people in a referendum, was unilaterally rewritten by the Spanish constitutional court in 2010, in a case brought by Mariano Rajoy, now prime minister of Spain. The Spanish education minister has made explicit threats against Catalan language education. These events have changed the relationship between our citizens and the Spanish state.